Cherry Blossoms are in bloom this spring. Amazing colors range from the popular pink blossoms to the beauty of white blossoms. Check out these beautiful blossoms with your family. Here's the list of where, when and what to do with the family! Welcome Spring! Get your camera ready and go take pictures! Look for them around the greater New Jersey area and in neighboring states. You will find family friendly festivals and activities that are great for kids of all ages. What do they symbolize? Japan’s symbolic national flower and friendship! The Cherry Blossom blooming season is short, usually lasting only 2 weeks. So don't miss them! Take photos with your kids! Tour cherry blossoms and learn about Branch Brook Park. $ Admission. FREE ADMISSION. Spend an fun family day among cherry blossoms at Branch Brook. Fun for kids of all ages. Participate in crafts, face painting, hula hooping, paddleboats and more! Fishing derby 12-2pm. FREE. Enjoy a Bloomfest family day in New Jersey’s pinkest park! A packed schedule of events includes Japanese cultural demonstrations, children’s activities, live music, a craft marketplace, food and more! Week long Cherry Blossom Festival with events such as Sushi making, flower arranging, Taiko Drum Performances, Kabuki demos and more. Main event is Sakura Sunday April 14th 10AM-5PM, $ Admission. Featuring Japanese culture, live music, dance, martial arts, fashion, food and fun. Held at the Horticulture Center in Fairmount Park, 100 N Horticultural Dr, Philadelphia, PA. Celebrate Spring. Enjoy a playtime picnic and under a fantastical indoor cherry blossom tree. Make your own magic growing sakura tree to take home! Ages 3-5. $ Ticket. Annual cherry blossom festival celebrates traditional and contemporary Japanese culture. Fun family event. The festival marks the end of Hanami, the Japanese cultural tradition of enjoying each moment of the cherry blossom season. Admission Fee for non-members. Check out BBG’s Cherrywatch. FREE. Walk around with the kids and look for Cherry Blossoms near the Belvedere Castle in New York City’s Central Park. 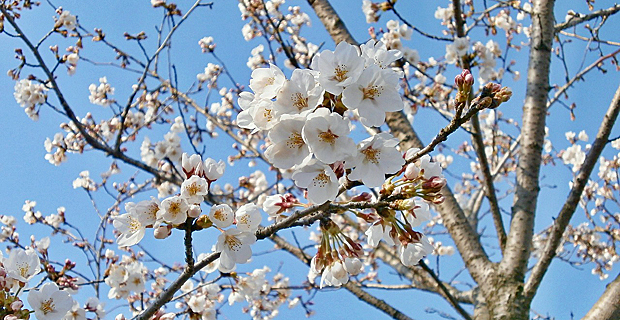 You can see 2 species of cherry trees this spring: Kwanzan Cherry and Yoshino Cherry. FREE. Celebrate Spring and Japanese Culture. Welcome to Randall Island’s Cherry Blossom Festival with live music performances, games, exhibitions, face painting, origami, kite flying, paper flower making, and much more. See over 200 pink and white Cherry Blossom trees along the curving path in the Cherry Collection section of the garden. Go see cherry blossoms dotting the D.C. area. 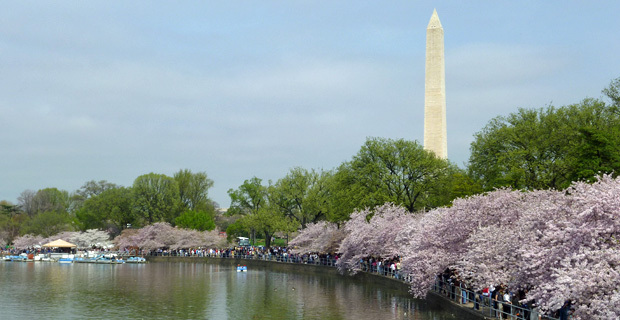 This National Cherry Blossom Festival celebrates the 1912 gift of 3,000 cherry trees from Japan to Washington D.C. If you’re traveling to the DC area this spring, the Waterfront is “home of the cherry blossoms”. Spectacular family friendly festival with games, kids activities, live music, Japanese culture, and evening Fireworks display. FREE. If you’re in the DC area, go celebrate Cherry Blossoms and watch a spectacular parade with giant colorful balloons (Olivia the Pig, Brainy Smurf, Care Bear, Voltron), floats, and marching bands. Celebrities, entertainers and performers.